Please click the photo of Jesse for more photos and information about the Goodwin Family. DOB 1893 in New Tupton. Died in hospital from shrapnel wounds. 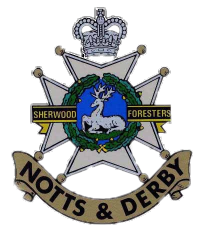 Regiment & Unit 14th Battalion Army Cyclist Corps & Sherwood Foresters (Nottinghamshire & Derbyshire Regiment). Service details Dardanelles, Egypt, France & Flanders. 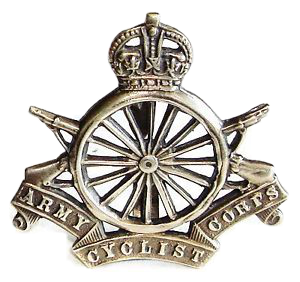 Was serving as a despatch rider with the Cyclists corps in France at the time of his death. 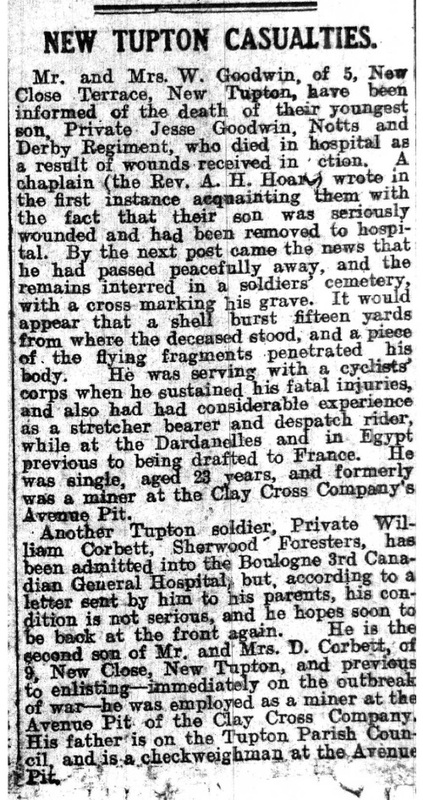 Also served as a stretcher bearer. Derbyshire Times & Derbyshire Courier Obituaries. Parents names Mr Walter & Mrs Eliza Goodwin. 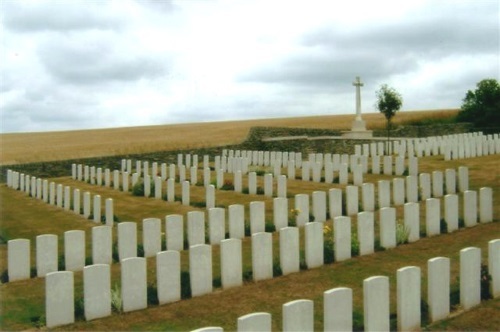 Grave location or memoria location Buried at Cayeux Military Cemetery, France. Any other information? Enlisted 22 August 1914. Pre war occupation was a miner at the Avenue Colliery which was the Clay Cross Company No. 9 pit. Youngest son of Mr & Mrs Walter Goodwin. 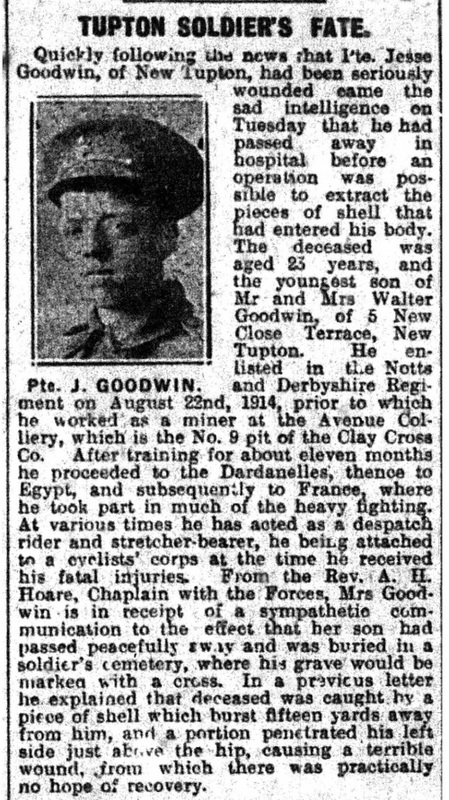 Cousin to Walter & Sam Goodwin, also remembered on Tupton's Memorial. Jesse Goodwin was awarded the Victory medal, also called the Inter Allied Victory Medal. This medal was awarded to all who received the 1914 Star or 1914-15 Star and, with certain exceptions, to those who received the British War Medal. It was never awarded alone. These three medals were sometimes irreverently referred to as Pip, Squeak and Wilfred. 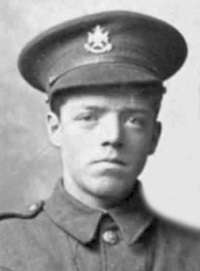 Jesse Goodwin was also awarded the British War Medal for service in World War One. This British Empire campaign medal was issued for services between 5th August 1914 and 11th November 1918.